Gluten free cooking is not just a trend. For many people, gluten free cooking has become a necessary lifestyle change. No one wants to give up favorite foods due to a necessary dietary restriction and finding recipes that fit your tastes can be challenging. 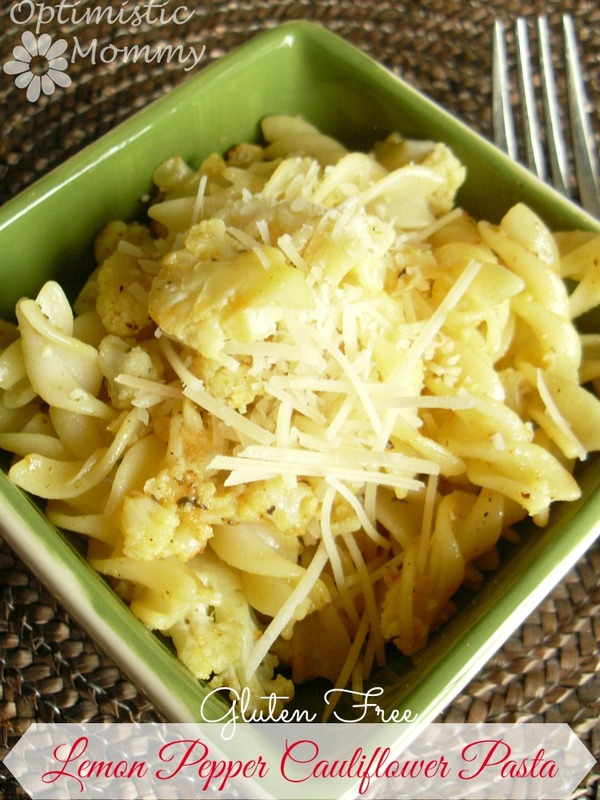 This Gluten Free Lemon Pepper Cauliflower Pasta is delicious, gluten free, and guilt free! Heat olive oil in large skillet over medium heat. Add cauliflower and diced red onion to heated olive oil. Begin to brown the cauliflower, stirring occasionally. Add lemon juice and lemon pepper to cauliflower and onions. Continue cooking over medium heat until the cauliflower begins to soften and turn golden brown. Add the 2 cups of cooked pasta into the skillet of lemon pepper cauliflower. Mix the pasta in well, coating with the lemon pepper mixture. Cook an additional 5-7 minutes or until pasta is heated through and begins to brown. Remove from heat and serve hot with a sprinkle of Parmesan cheese. This recipe is of course not only gluten free but also contains no meat. You could certainly add chicken breast to the recipe for a more filling option or to satisfy the meat eaters in your family. If you are not concerned with gluten free eating, you could definitely substitute a traditional pasta or a whole grain pasta for a still delicious and healthy option. Do you have a favorite gluten free recipe that doesn’t sacrifice your favorite flavors or foods? Are there other dietary restrictions you or a family member are required to follow and require special meal prep? Please share! This looks soooo yummy! Definitely adding this to my rotation of things to try! That looks really yummy! My family has recently gone GF but this looks like a meal we could all enjoy together! Oh yum, that looks delicious! And Gluten Free- thank you. I have been looking for more Gluten Free recipes that were easy and delicious! Wow, yum! Pasta is my weakness. 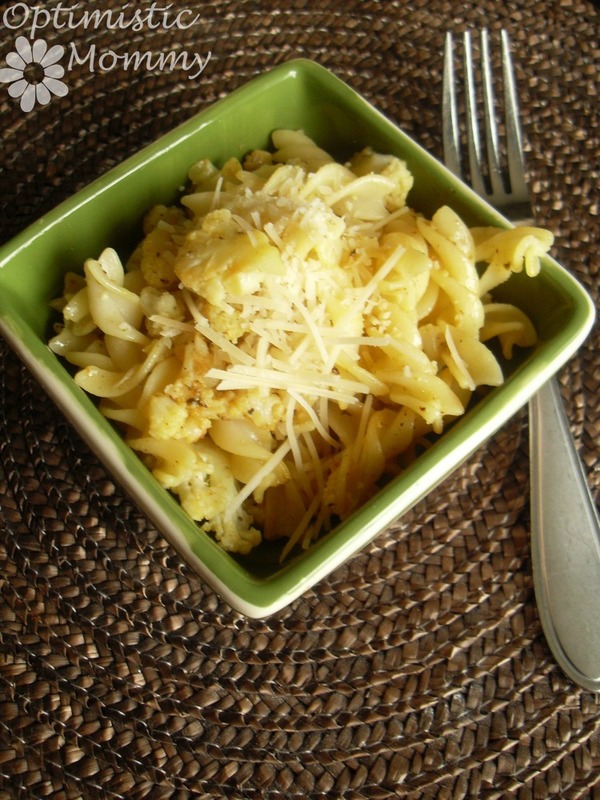 I’ve never tried gluten free pasta but I do love cauliflower and your recipe sounds delicious! I don’t think I’ve ever had a pasta dish with cauliflower in it. This looks good though – may have to remedy that soon! Leave out the red onions, and I think it’s delicious! lol. ooh my husband would love this! I’ll have to pin it! I’ve never thought of putting cauliflower in pasta. I bet it adds a nice crunch and flavor.